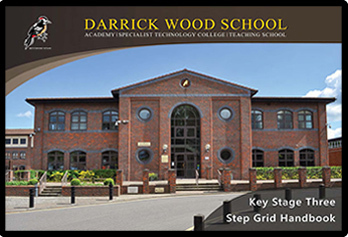 For the last three years Darrick Wood has been at the forefront of developing a new Key Stage 3 Assessment and Progress Monitoring system entitled “STEPS – Strategic Targets for Educational Progress and Success”. 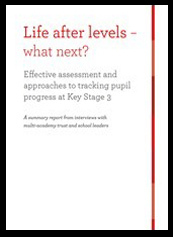 The demise of Levels from September 2014 meant that all schools nationally had to undertake to establish a system that would replace the former and ensure a robust and rigorous programme of monitoring and reporting. Over the last two years it became obvious that this mammoth task was simply beyond many schools and Darrick Wood were increasingly invited to share their approach by speaking about the process we undertook at regional and national conferences on assessment. As a result Darrick Wood are now considered by many to be at the cutting edge of Key Stage 3 Assessment and Progress system design, and as a consequence have been working closely with the international publishing house, Scholastic, to develop a marketable version of our own system. This opportunity has meant that many staff at Darrick Wood have had an opportunity to work intensively with Scholastic and produce a very professional and well received model that is now being taken on board by schools all over the United Kingdom and beyond. Whilst this development has not come without some hiccups, particularly in our first pilot year, it has enabled Darrick Wood to confidently put into practice a complete assessment and monitoring system that has gained in support and acceptance with all of its users and stakeholders. Now in its third year at Darrick Wood, we have ironed out many of the teething difficulties we encountered initially and feel confident that key stage 3 assessment here will continue to go from strength to strength. If you would like to know more about STEPS please follow the links below or contact the School for answers to specific questions. I am still unsure of how it all works. I am referring to how the points work. Per strand there is a score right? What does this mean? The STEPS system works in conjunction with the handbook you should have received last month. It will only make sense if both are viewed together. Each subject has split their programme of study for Key Stage 3 into a number of STRANDS (or areas). For each STRAND the programme over the three years is split into nine STEPS. In October each pupil was assessed in each subject in each STRAND and placed on the STEP grid at a certain STEP. The score for all STEPS in that collection is also given using a simple formula that adds 1.0 to the mean of the STEP scores. We call this the STEP POINT SCORE. It is often a decimal and can be seen immediately after the STRAND scores for each collection. 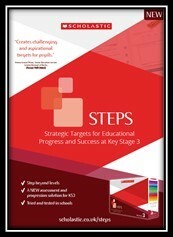 Overall, every pupil is expected to make 1.0 progress in the STEP POINT SCORE over each year. This can of course be achieved in a multitude of ways and allows for the different rates of progress experienced by different children at different times. To set meaningful and detailed targets for future progress you simply have to look to the STEP immediately above the ones currently attained in each STRAND. The system therefore gives you detailed information and a very quick decimal score to check at every collection. Why are there grey shaded areas in some subjects? The flexible nature of this assessment system allows for each subject to assess specific topics (strands) relative to their own programme of study: by their nature, some subjects have more than others and the grey area indicates that there is no score 'missing' from that box. Why are the steps scores for the DT subjects all the same? The carousel system operated by DT in Year 7 means that pupils study all the subjects and those teachers award a joint attainment score. This may change with new developments in the future. Why are there no assessment strands in Learn2Learn and PSHE? The nature of these subjects means that pupils are not formally assessed as they are not part of the statutory National Curriculum. Learning to Learn is designed to equip pupils with the skills to become effective learners and PSHE plays a key part in the personal development of pupils. How will teachers use this data to help my child? Just like you, we are very excited to finally have such detailed information on every pupil. It will help teachers to plan effectively and work with each child in order to personalise their learning over the coming months. Beyond this, subject leaders will be able to set up target groups of pupils upon which to focus attention in the coming year. Whilst extremely unusual, there could be circumstances which would mean that within the last assessment cycle this was the case. It could be a completely new subject, or one that has been studied for only a portion of the year. Remember also that we are anticipating three steps of progress over the period of KS3 and that one step is merely the average of this expected progress each year. Why does my child appear to have made (far) more progress in one subject than another? All subjects are different and so are children! It is quite understandable for one pupil to have a different rate of progress to another. Learning is a cycle of improvement. Pupils improve and then plateau before making further improvement: the time scale for this cycle is very individual. It is also quite normal for rapid progress to be made when children are exposed for the first time to specialist teaching, when perhaps teachers with expert knowledge were not available in primary school. How should I use the Summary Report to best help my son/daughter? Firstly look at the colour coded STEP Progress made this year and note the subject(s) where least progress has been made. These should be the areas where more time and effort are needed in the new term. Then, look at the individual STRAND scores for each subject: cross reference them with the Handbook to see what has so far been accomplished, but more importantly to see what needs to be achieved to move up to the next STEP. This is the basis of individual and very specific targeting for future progress and success.